I got a little Bento-crazy this morning and decided to go all out on making hubby's lunch. The result - a sumo-sized bento box. 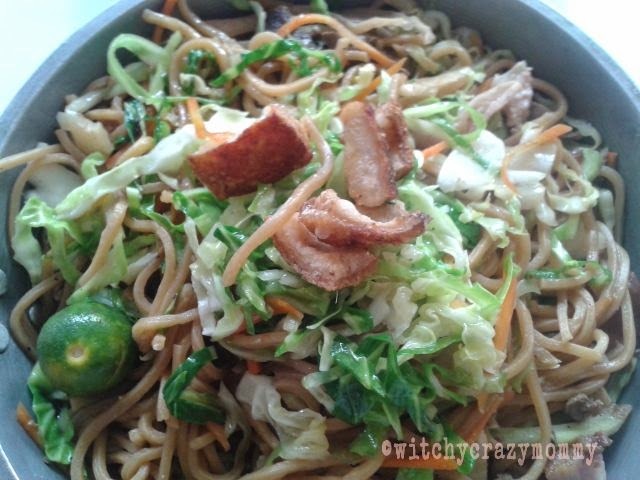 Cooking while hungry, a bad idea! What exactly is a bento ? It's simply a Japanese lunch-box filled with rice, meat and veggies. 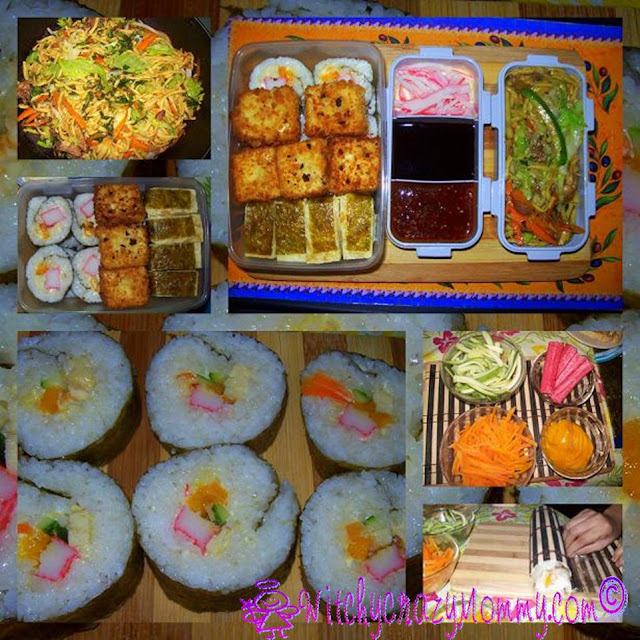 It can be as simple as just packing the food like what I did in the picture or it can be as intricate as a kyaraben or a "character bento" made to look like anime characters. 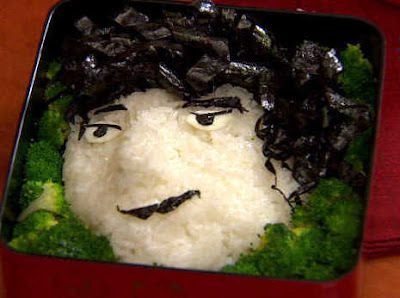 Another style oekakiben or a "picture bento" can be made to look like virtually anything or anyone. You can see this done in Japanese or Korean drama where the girl prepares a bento box resembling the boys face. Cheesy, but it works! Here's a guy you may recognize if your a BOF fan. You want to know what's in hubby's bento box? Click on the links below. Oo sa sobrang sarap, nakalimutan ko pangalan ko.